At Mountain West Montessori, we give our students opportunities to explore and understand their local and global citizenships. Maria Montessori believed that including an awareness of the world and developing peace with one’s self, others and nature is essential to every child’s education. In Children's House, students attend field trips like international ballet performances at UTEP and trips to a local pumpkin farm. In Lower Elementary, the students will visit class-selected sites and organize their own overnight camping trip. The Upper Elementary students will travel by bus to Tucson, Alpine or Albuquerque for a city visit and two night stay. Travel develops students’ independence, enhances their abilities to navigate their world, and prepares their minds for the vast opportunities open to those who explore the world beyond their borders. The younger students build the skills that lead them to explore the world with confidence and curiosity. In 6th grade, the students will travel to New York City for nine days to participate in the Montessori Model United Nations (MMUN) program. The Adolescent Program students have the opportunity to travel abroad for the international MMUN Conference. In 2014, our students represented El Paso in China! • Learn about cultures, governments and peoples of nations throughout the world. • Use research skills, writing skills and written & oral communications skills. • Develop critical thinking skills, problem solving skills and evaluative skills. • Debate current global issues and world problems. • Practice and use leadership skills in a real life global situation. 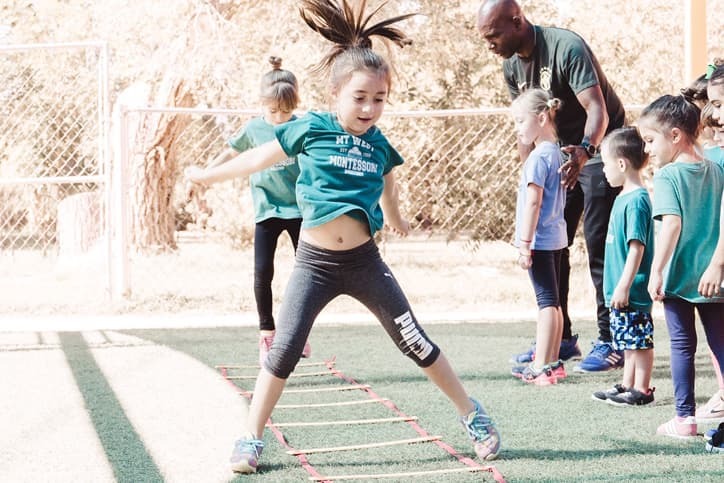 Mountain West Montessori believes nurturing a strong body will nurture a strong spirit, so physical movement is integral to the holistic development of all children. We begin Physical Education at age three with Montessori Guides trained to be aware of the physical development children at all levels. For outdoor activities, we have a covered area with synthetic grass for year round enjoyment. Young children’s brains have less trouble learning vocabulary and language structure than do older children and adults. We teach children in multiple language environments beginning when they are three years old. Mountain West Montessori offers two Full Spanish classes for students of 3 to 6 years followed by a Dual Language program for Elementary and the Toddler program. Adolescents receive academic instruction in Spanish and English. 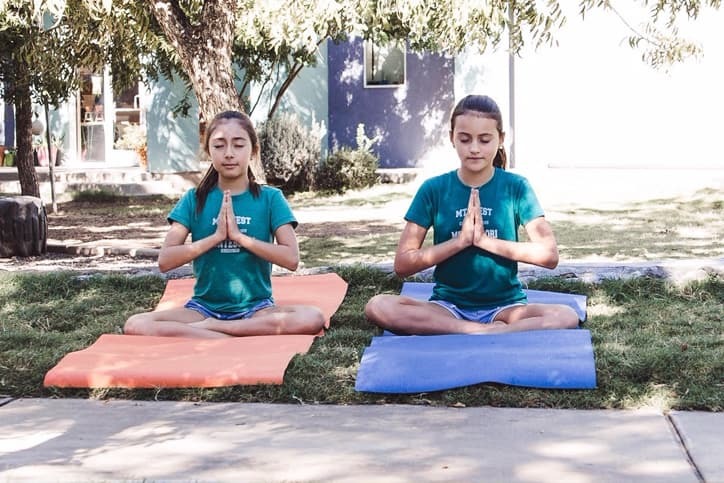 The Guide (teacher) for the Children’s House Full Spanish classroom is Montessori Certified in Spanish in order to create a full-immersion classroom. Montessori classrooms are designed to be flexible and Montessori Guides are trained to be aware of and sensitive to children’s progress and customize instruction to their individual needs. Guides also know that it is important to prepare students for their next academic level, so towards the end of the immersion program, Guides will begin introducing students to English somatic blends to prepare students to write, and read in English. We do offer a Sequential English Education (SEE). Children who live with a primarily English speaking family and begin the bilingual program will acquire the tools to learn how to learn languages and lay a foundation for the Dual Language program at the Elementary levels. We encourage families to support their student’s linguistic development, and to prepare students for the Elementary and Adolescent programs, by writing, reading and speaking in English. 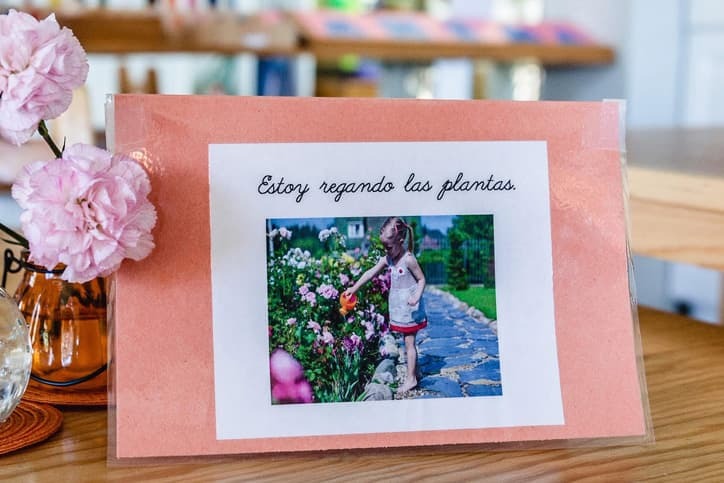 Children who live in a primarily Spanish speaking family and participate in Spanish immersion programs will develop their Spanish reading, writings and speaking skills. When the student’s linguistic progress is supported by the immersion program at school and the home environment the student will experience what Montessori an “Explosion of the Language,” a sudden and rapid acquisition of vocabulary, in their first language. We encourage families to support the development of their student’s English skills by having one parent converse with the child in English and to register them in the SEE program. Extended care for those who wish to either drop-off early at 7:30 a.m. and stay until 5:30 p.m. is available at an additional cost. Students will have a snack, do crafts and have time to play on the playground. 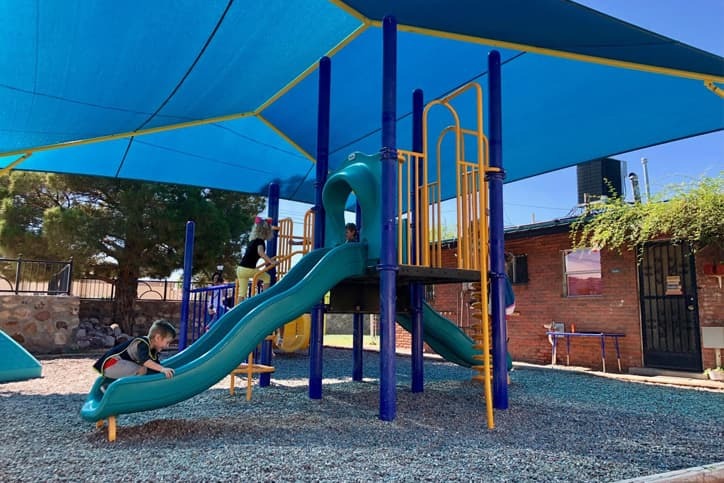 Mountain West Montessori’s summer camp is set in a shaded pecan orchard in the beautiful Upper Valley of West El Paso. The summer camp has been serving our community for over 25 years and every year the staff, families and children create wonderful memories and a knit-tight community as we enjoy games, prepare healthy meals, and watch our children enjoy learning at their own pace. Spanish immersion and English environment are available. Please see our Summer Camp Brochure. Montessori philosophy and parenting classes will be hosted once a month and are free of charge. A Positive Discipline workshop consisting of seven classes, on class week will be held at the school and conducted by Dr. Ximena Birgos. Monen Schmidt will conduct an on-line workshop for interested parents. Expression is the process of making known one's thoughts or feelings. Our goal through our Enrichment Program is to offer different mediums so children can explore the endless possibilities of expression. Dance, Ballet, Music, Spanish, Soccer, Yoga, Art Expression, Robotics (STEM). Check with the front office for available schedule for the semester. lunch at our school is a wonderful seensorial, social, and cultural experience! This process has many important qualities for the development of the whole child. 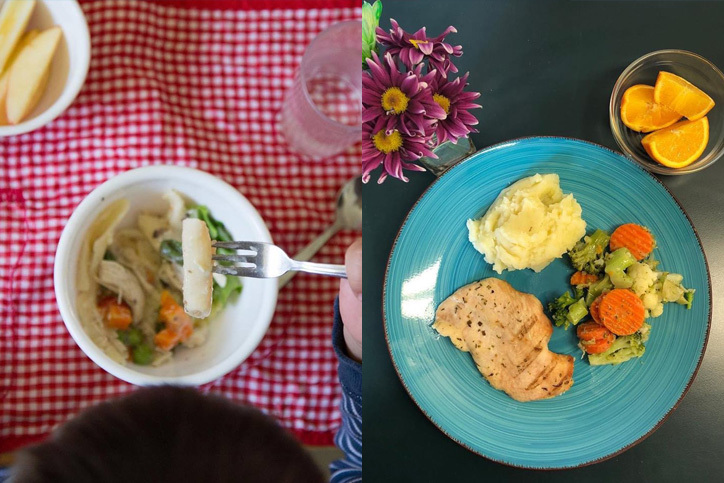 : children are learning to eat different nutritionally balanced meal, learning to be open to different tastes and cultures, becoming aware of the many grace and courtesy lessons that eating together provides (table manners), becoming independent, and absorbing the basic social relation rules that eating together offer! This program, unique to our school, offers many wonderful and valuable opportunities for growth. All children, to include half-day dismissal students, must purchase the yearly lunch program in order to participate in the Community lunch. As part of our program, parents are invited to share a sit down meal at school with your child dring his/her birthday celebration! In order to schedule for birthdays lunches please make prior arrangements with your child's teacher at least 5 days in advance. In addition to food being a psychologial need, we will continue offering the children the opportunity to learn and improve in their educational and social skills. A one time fee of $10.00 covers the cost of your child's place setting used during his/her meal (flat plate, bowl, glass, fork, spoon, and knife).